When I first heard about this campaign, I only planned to focus on the billboards and take a look at how much this was costing them (more on that later). But then I discovered that they have a web page for the campaign. Just like with the billboard, what struck me was not necessarily what was there, but what wasn't there. The IOM is not talking about children in general, but rather about specific subpopulations. They also are not saying that these subpopulations are always at increased risk of adverse reactions from all vaccines. Rather, they are pointing out the difficulties in assessing the outcomes for certain subpopulations because the definitions involved vary. In 1986, Congress passed the National Childhood Vaccine Injury Act. The law was created by Congress in response to lobbying by the pharmaceutical industry and medical trade associations to shield drug companies and doctors from civil product liability and malpractice lawsuits for injuries and deaths caused by federally recommended and state mandated vaccines. NVIC was instrumental in educating Congress and the public about the need for a no-fault compensation system alternative to a lawsuit, which resulted in passage of the National Vaccine Childhood Injury Act of 1986. There is much more on the campaign web site that I find misleading and likely to cause parents to forego vaccination based on incomplete and erroneous information. Perhaps other science-based bloggers will take a stab at this and provide further analysis. This gives a grand total ranging from $444,000 (for the minimum spread) to $1,869,552 (for maximum reach). That's quite a chunk of change, and that doesn't even include Austin and Olympia. Again, these are ballpark figures based on the pricing available from Clear Channel's web site. They may not reflect NVIC's actually expenses for these billboards, but they should give people a general idea of what they're spending. NVIC certainly has a right to purchase advertising space to spread their misinformation that has the potential to negatively impact public health. And Clear Channel has the right to sell their advertising space to whomever they choose. But reality-minded individuals also have a right to make their voices heard. For example, they might decide they want to contact Clear Channel to voice their displeasure. Take a stand for true informed consent. Speak out against those who are anti-informed consent. It's good to see this campaign getting noticed. It means it's probably working. You say, "these are ballpark figures based on the pricing available from Clear Channel's web site. They may not reflect NVIC's actually expenses for these billboards," <---- so you don't have accurate info yet you publish this anyway. Thanks for playing but no, this is not valid. You have no idea what the contract really states. You say, "Clear Channel has the right to sell their advertising space to whomever they choose." And then you encourage people to write in to express displeasure. Displeasure at what? What has clearchannel done wrong? You've already admitted they are within their rights so...what basis do you have for complaining?? No, this article is nothing other than a whine fest. Would you like some cheese to go with that whine? I posted the ballpark figures because it is a valid question to ask how NVIC is funded for this campaign. (A frequent criticism is where the money comes from for pro-vaccine advocacy, but it is somehow not allowed to question where the money's coming from for anti-vaccine advocacy?) I know they have received donations from private family foundations for advertising and PR in the past. Clear Channel is selling a platform to an organization promoting misinformation. Would you say that people should not complain? For example, if CC sold billboard space to a "Seat belts? Know the risks and failures" or a "Car seats? Know the risks and failures" campaign that spreads fear about seat belts or car seats without acknowledging the benefits or putting the risks in a proper context, I think people would be justified in letting CC know what they think. Or do you only support free speech if it advances your beliefs? It is also within CC's rights to sell billboard space to Stormfront, a white supremacy group. Does that mean people should not complain about selling space to a hate group? And you are wrong. This article is not a whine fest, but rather it points out where the NVIC misleads and distorts information. 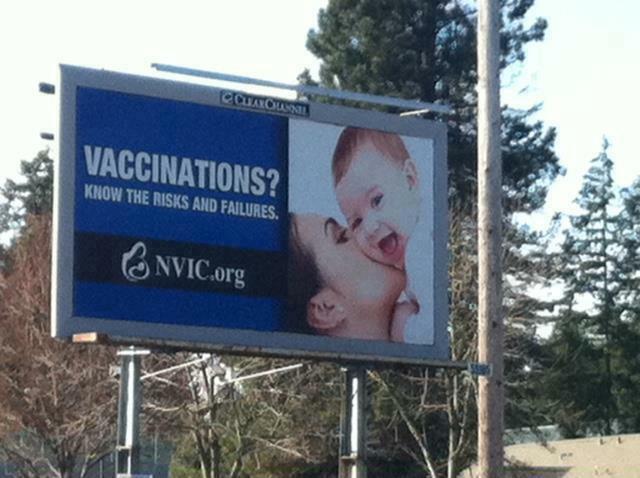 They do not provide context for really understanding the risks and (not mentioned in NVIC's campaign web site or billboards) benefits of vaccines. If you would like to show that I am actually in error in any statements of fact in my post, please feel free to point them out. What Clear Channel has done wrong is to accept money from a group that poses a danger to the public's health. That is the basis for expressing displeasure. Great post, Todd. I came in with my post about this an hour after yours and I'm somewhat embarrassed of my attempt after reading this! Please fix you "recent comments" widget. ScienceMom fixed it at JustTheVax, so I assume you guys can do the same. It makes it easier to see if someone had decided to challenge you. As far as NVIC goes... In a forum forum someone challenged me to check NVIC's "vaccine damages" log. So I did. The most recent anecdote that day was that a vaccine caused "Down Syndrome", or the additional Trisomy 21. Where an extra chromosome was added at the 21st location. Yeah, right. Vaccines given after birth changes the child's entire genomic makeup. Okay, show me the data that can actually happen! Otherwise, it is a lie. The widget I had been using for recent comments broke a while back, and I hadn't been able to find a replacement at that time. Since JustTheVax is also on Blogger, I took another look and found one that appears to be working. So, ask and you shall receive! As for the claim that vaccines can cause Trisomy 21, that all comes back to what I wrote last week about the Sense About Science campaign: Ask for Evidence. Thanks! 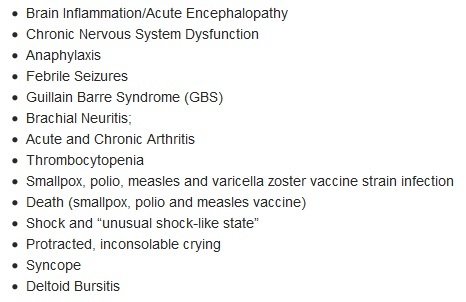 Oh, I read someone claim that vaccines caused her child's cerebral palsy. Le sigh. I find it fascinating how they harp on smallpox vaccination, when so few still can even get immunized against smallpox. That said, they're pretty close for smallpox vaccination, it's the highest risk vaccine in use. That the risk is under one percent is irrelevant to the antivax crowd though. That the risk of every other vaccine is a small fraction of one percent is even more irrelevant to them. That the risk of harm from preventable infectious disease is many times higher is beyond irrelevant to them, for their "right" to spread disease exceeds the right of others to live is supreme in their delusional minds. Indeed, Stephen. Also, with regard to smallpox vaccine, that is one that I would say quite readily should not be given routinely to the general population. The risks of that clearly outweigh the benefits for your average person. However, if you work with smallpox in a lab or are in a position at increased risk of exposure to weaponized smallpox (e.g., military personnel), then getting the vaccine is probably worth it. It is interesting that those who are citing the book Fisher and Coulter wrote as "evidence", always seem to add the "PhD" after his name. It turns out that his PhD is for Russian social studies and political science. Harris Coulter's day job was being a Russian/English interpreter. Interesting how they chose Olympia, WA, the state capital instead of several other larger cities. Three of those cities have actual pediatric hospitals, who employ those most likely to protest the accuracy of NVIC's claims. If they wish to influence state legislators, it is too late: it is already state law to get a health care provider to sign the personal exemption form. Big Pharma prostitutes at it again. Are you denying that Harris Coulter's PhD was in Russian Political Science, or that Ms. Fisher has no background in medicine and science? Instead of pulling the big boring "Pharma Shill Gambit" just post some actual factual documentation. Provide us the PubMed indexed study by a reputable qualified researcher that any vaccine on the American pediatric schedule causes more harm than the target disease or diseases. Oh look, an evidence-free conspiracist assertion. Who predicted that? Apart from, you know, everybody. I noticed a discrepency between the pretty paper my pediatrician gave me and the CDC and the WHO on the incidence of Hep B. That led me to an NVIC article that was heavily footnoted and clear. I have noticed not all NVIC articles are so heavily footnoted...the peditrician paper was sadly inflamatory and exagerative. I have found that both sides have their crazies...the measles are not the same as polio and Hep B is NOT common or even partially likely to be caught by an infant of non-HEP B positive family. but it's given at birth. why? in both cases I chose to use my brain. Whenever a source is so heavily biased, it helps me know that they will see everything through that lense and miss truth along the way. I have to be careful with both camps. My children are vaccinated, though some are delayed. There is such a thing as herd immunity and there is such a thing as financially motivated medicine. I'd love to have the truth. So I do my own research. "I noticed a discrepency between the pretty paper my pediatrician gave me and the CDC and the WHO on the incidence of Hep B"
Also the CDC is mostly about American, and WHO is international. There are some countries where Hep B is endemic. There are areas in the USA and Canada with large immigrant populations from those countries, probability of contacting Hep B is higher. "Hep B is NOT common or even partially likely to be caught by an infant of non-HEP B positive family." You criticize NVIC for not citing benefits of vaccination, and don't cite them yourself. That's part of their message, that the benefits are negligible, n'est-ce pas? The focus of this post was to illuminate the deception and dishonesty on the part of NVIC. In particular, their lack of context and distortion of source information. Their message certainly is that the benefits of vaccines are negligible, which, again, is false. It is just another part of their dishonesty. The reason I didn't discuss the benefits of vaccines in this post is because a) I wanted to keep it focused on NVIC's fear-mongering campaign and b) I've written about the benefits in other posts. Do tell us how the MMR vaccine is so much more dangerous than measles and mumps. Please provide the PubMed indexed studies by reputable qualified researchers (not NVIC) to support your answer. Todd, you fault NVIC for not citing benefits of vaccination, and don't cite any yourself. That's part of their message, that any benefits are negligible, n'est-ce pas? Who is being dishonest? The fact is most people assume that vaccines are good for you and are not even aware that there are real risks and that vaccines haven't been thoroughly tested for safety. Doctors and parents are just suppose to take the vaccine developers word that they are safe. Really? Let's not continue to be so foolish. There are more scare tactics to vaccinate than the other way around. 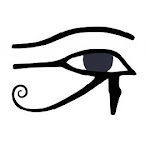 The decision is extremely difficult that's why you must search out the TRUTH for yourself. I suggest you watch the "The Truth About Vaccines Documentary" so you can make and informed decision. I am sorry, but argument by video is not valid. What you can do is provide the PubMed indexed studies by reputable qualified researchers that any vaccine on the present American pediatric schedule causes more harm than the diseases. This means if you claim the MMR vaccine introduced in 1978 causes more harm than measles, then you need to provide that it causes encephalitis in one in a thousand doses and/or pneumonia in one if five doses.